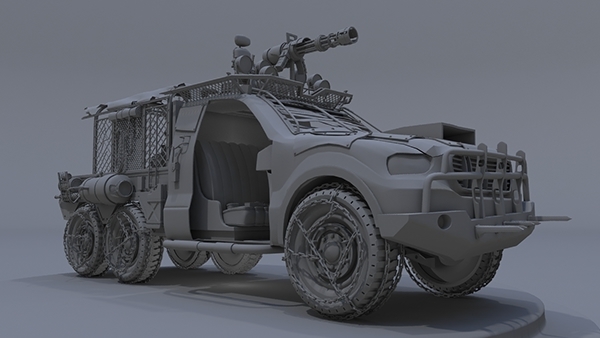 This is a post-apocalitic military truck inspired from multiple games and artist and was created over the span of a couple of months due to personal and school life. 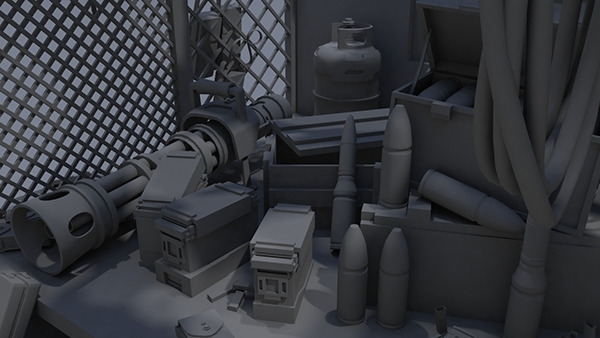 All of the modeling is done is maya, if you have any questions or suggestions about this build please leave a comment. Art and Concept © Arnald Andujar 2014 LinkedIn: http://www.linkedin.com/pub/arnaldo-andujar/46/619/5a3 Twitter://https://twitter.com/Arnald23 Facebook://https://www.facebook.com/arnald.andujar :twitter: Follow me on Twitter for updates on piece of work and my crazy life. ~~~~~~~~~~~~~~~~~~~~~ Hello everyone, this is my 2014 apocalyptic military truck, all of the modeling was created by me over the span of my sophomore year in college. ~~~~~~~~~~~~~~~~~~~~~ Comment, fav, and critiques are appreciated!